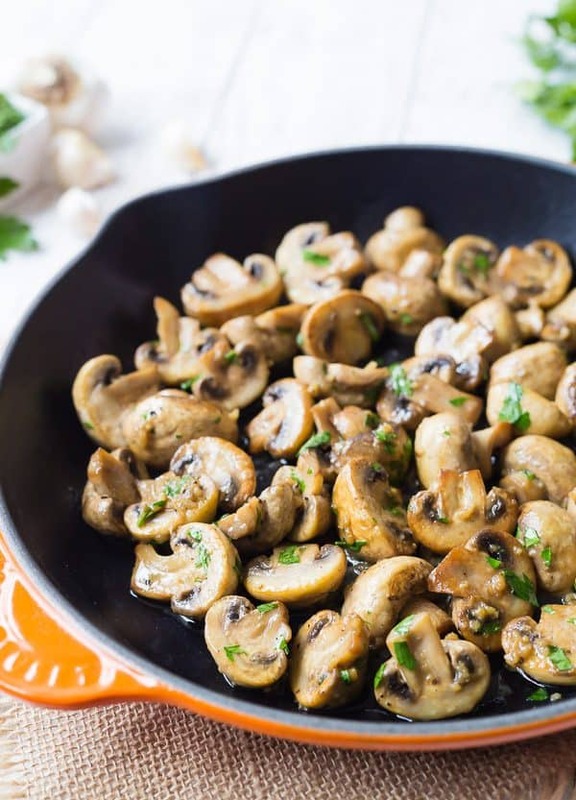 Sautéed Mushrooms swimming in a silky garlic butter sauce…these are mushroom perfection! They are great on steak, chicken, or as a side dish. My photography studio is upstairs, as many of you know (remember the cherry martini incident?) and there are certain recipes that I’ll finish photographing and end up sitting on the floor eating it right off the set. These mushrooms are one of those recipes. I couldn’t stop plucking them out of the pan with my fingers and popping them into my mouth. The garlicky, buttery coated mushrooms are unbelievably irresistible. 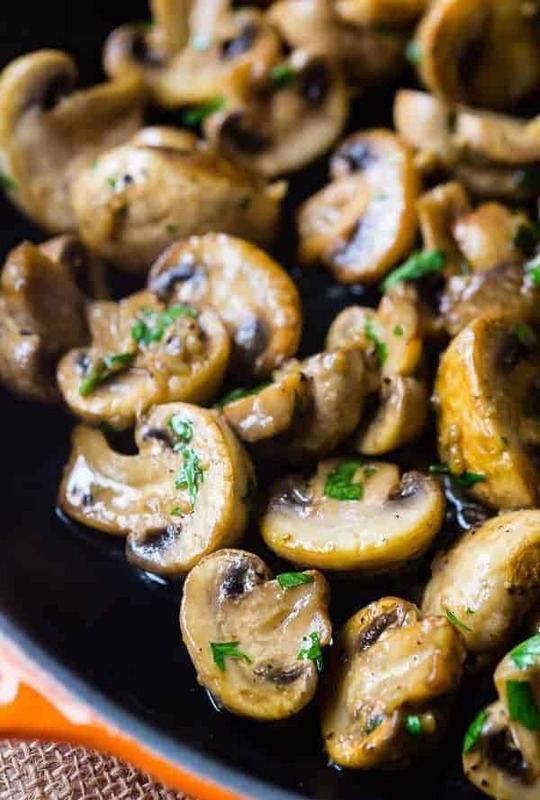 This recipe for sautéed mushrooms isn’t a fancy or elaborate one in the process or the difficulty, but it is one that really shines in its simplicity. These mushrooms are perfect on top of a perfectly seared steak, or served along side a juicy chicken breast. Tip: Try cutting these into slices instead of in half and putting them on burgers or in a grilled cheese sandwich! You may need to reduce cooking time slightly, but otherwise follow the directions the same way. They’re great on their own, too. I also enjoyed these reheated the following days after I made them. I quickly warmed them up in a small frying pan and wilted some spinach in with them. It was the perfect vegetable side dish with my scrambled eggs in the morning. 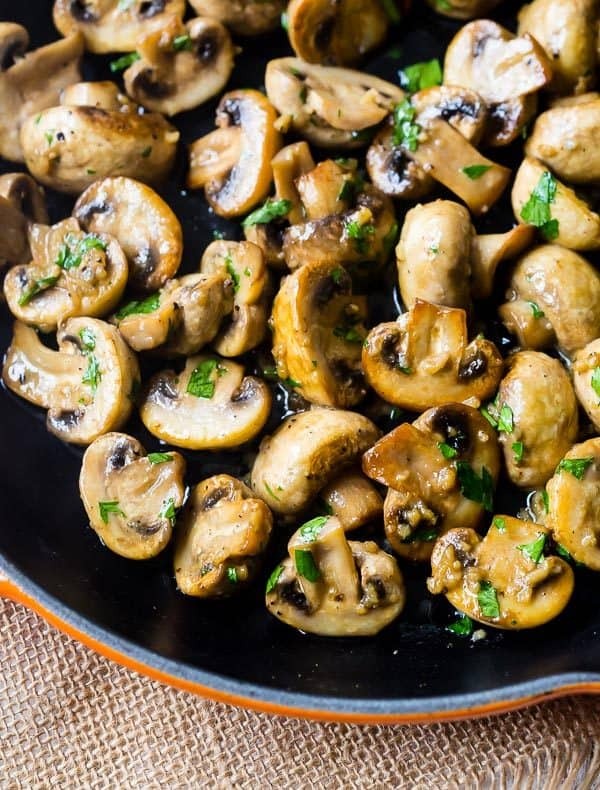 The important thing in making these sautéed mushroom really shine is sautéing the mushrooms in just the right way, which we’re going to talk about. You want to get them nice and golden brown — this is where the flavor comes from! The caramelization of the mushrooms is key! Do not be afraid of turning up the heat! In order to accomplish a nice sear on these mushrooms, we’re going to start by sautéing them in olive oil, which has a higher smoke point. If you use butter at a high heat like this, it could burn. Also important, don’t constantly stir them! Leave them alone! Resist every urge to stir these before the four minutes are up like the recipe directions read. 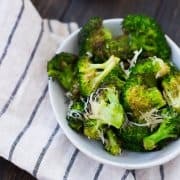 Tip: I love, love, love these with the garlic, but if you’re not a fan of garlic, this recipe still works well without it. When they’re nice and golden brown, that’s when you’re going to add the butter to create a silky, shiny coating on these mushrooms. They’re completely irresistible. Love mushrooms? Try marsala roasted mushrooms or coq au vin stuffed mushrooms! 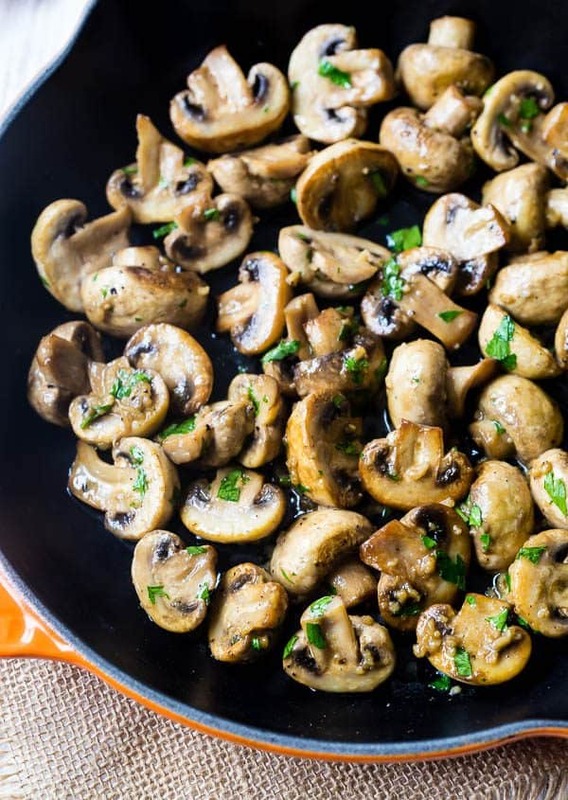 Sautéed Mushrooms swimming in a silky garlic butter sauce...these are mushroom perfection! 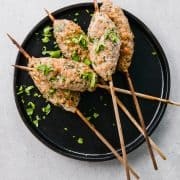 They are great on steak, chicken, or as a side dish. 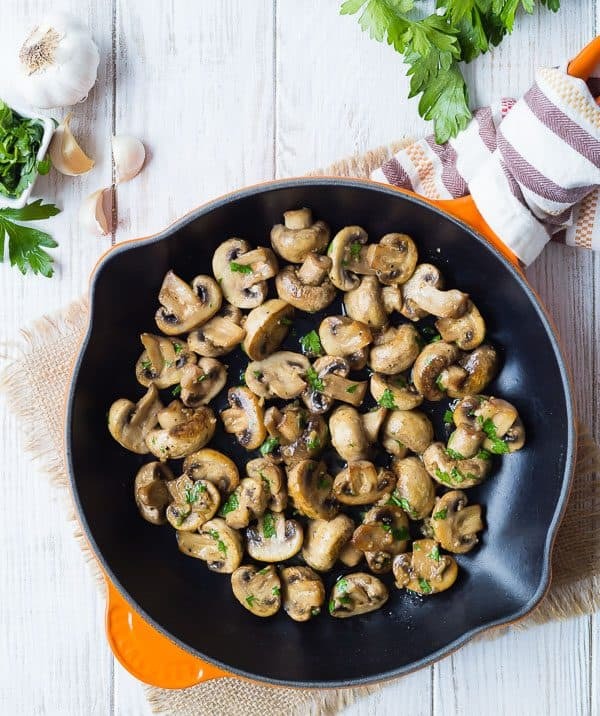 In a large sauté pan (you want the mushrooms to fit in a single layer), heat olive oil over medium-high heat. Add mushrooms and season with salt and pepper. Toss to coat all mushrooms with the oil and then spread them into a single layer. Cook for four minutes on medium-high heat without stirring. Stir and cook for 2 more minutes without stirring. Reduce heat to medium-low and add butter and garlic. 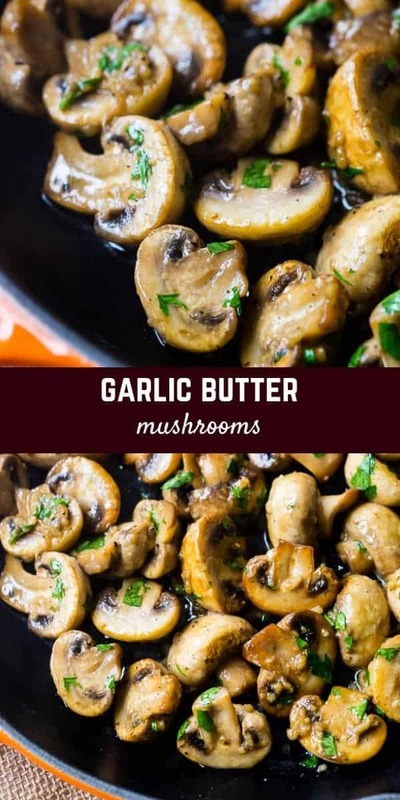 Cook for 3-4 more minutes, stirring frequently, until mushrooms are fully cooked, butter is melted, and garlic is fragrant. 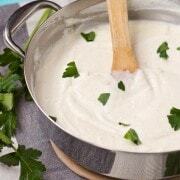 Remove from heat, stir in parsley and serve immediately. 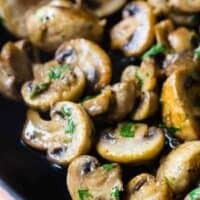 Verdict: I couldn’t stop eating these sautéed mushrooms! Husband’s take: I don’t think I shared with Ben but my guess would be that these are too garlicky for him. He’s not a huge fan of garlic. I’m a total newbie cook learning how to cook real food for the first time (no more microwave) and just tried this and it was awesome! So easy to follow the directions and came out great! That means the world to me! I’m so happy to hear that you liked these and that it was easy to follow. Thanks for taking the time to come back and leave a comment! So glad you liked these mushrooms! Thanks for taking the time to come back and leave a comment! This is how we made mushrooms growing up–so fortunate to grow up near Kennett Square, mushroom capital. 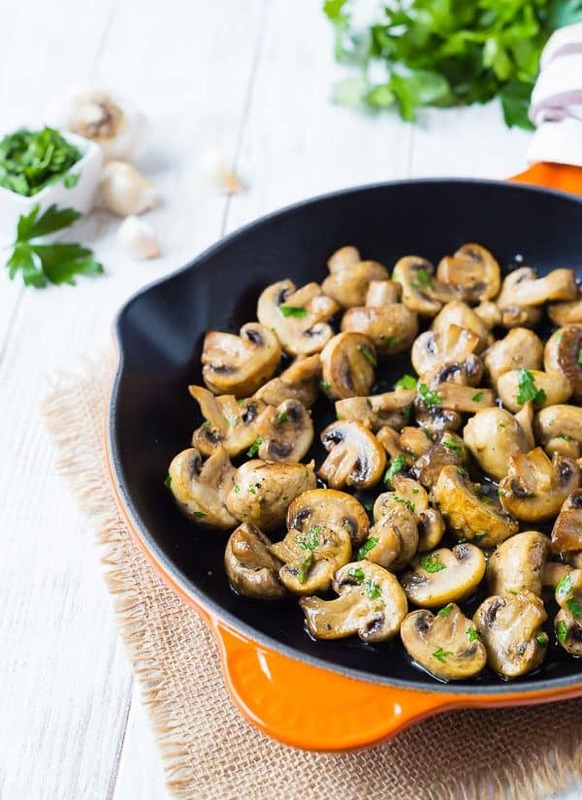 Sautéed mushrooms added to any plate definitely gives it a wow! factor. Not being a garlic fan myself, I would add a little thyme instead. These would be great with thyme!